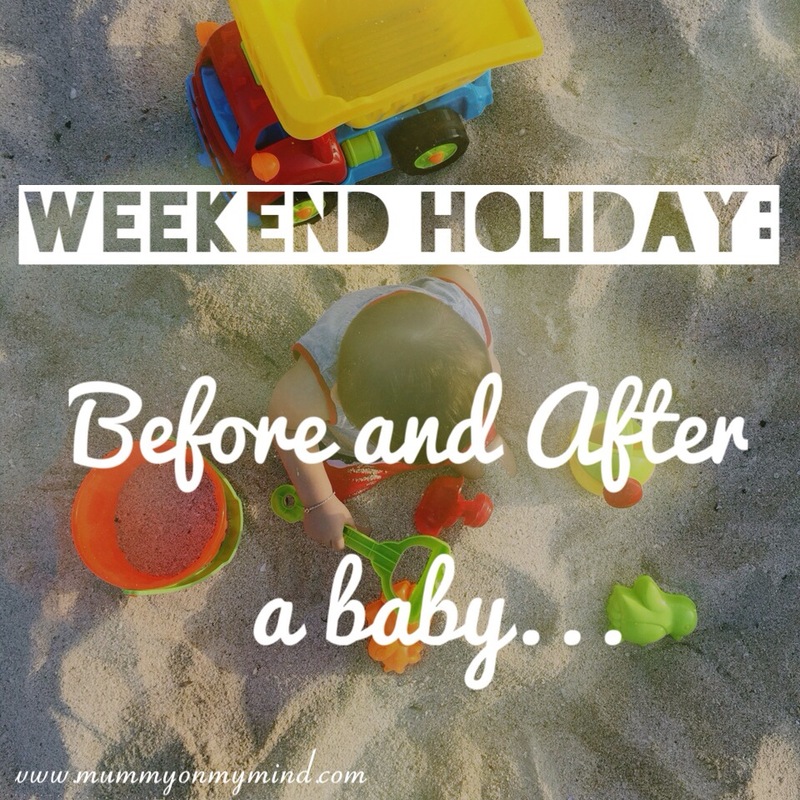 Weekend Holiday- Before and After a Baby! Before Baby: The holiday starts as soon as you leave the house. The car journey to the destination is filled with excited chatter and comfy seating positions (those ‘bare feet on the dashboard’ kind of ones) whilst admiring the dessert landscape around you. You have plenty of space to stretch because you’ve probably only brought one tiny luggage bag. After Baby: Check you’ve brought all five suitcases, that are mostly filled with nappies, wipes and baby toys. You never know what kind of baby disaster might befall you during the trip, so you have come prepared! Spend the entire car journey entertaining your child, and in case your baby does fall asleep, speak to your partner in hushed tones so as not to wake the baby up! Before Baby: Unpack within 5 seconds and head down to the pool! After Baby: Take an hour to unpack everything. Quarrel with hotel staff about not receiving the travel cot like you asked for during hotel booking. Finally once the cot arrives, allow your baby to have his/her afternoon nap because that is PRIORITY if you want a chance to enjoy the rest of the evening. Once everyone is in a good mood, and sleep has been fulfilled, head down to the pool. Before Baby: Have a lush and sophisticated experience, enjoying your meal with polished cutlery and soaking in the ambiance. After Baby: Try persuading baby to try out anything and everything, and clean up each time he/she throws food/napkins/cutlery across the table. You and your partner take it in turns to entertain baby whilst the other gobbles up food as quickly as possible. Pay and run out before the waiters realise the extent of the mess under the high chair. Ambiance?… What ambiance? Before Baby: Lazing by the pool, lazing around in the room, trying out new sports or a lush spa treatment. Generally anything that either does not involve too much energy at all, or is off the scales for adrenaline rush. After Baby: Plan everything according to your baby’s napping and eating routine. Perhaps get into the pool for 10 minutes, until your baby’s cries beckon you. Check to see whether any activity or place you visit is child friendly and safe beforehand. Before Baby: Take a few romantic selfies, and ask passers by to take some more romantic photos. Throw in a few landscape and meal shots, perhaps even a couple of those ‘Toes in the sand’ clicks. After Baby: Take a ZILLION photographs of your baby, documenting every smile, laughter, happy, embarrassing and funny moment. Only stop when your batteries run out, or your SD card is full. (Don’t worry, you have packed extra batteries and SD cards though.) Put cameras well away during tantrums, unless you are feeling brave! (It could serve as your adrenaline rush activity of the day!) Take one couple photograph, if you can remember to. Before Baby: Pack your things moments before your check out time, and bid adieu to a lovely trip. Feel hotel-sick when you get home and start planning your next getaway trip! After Baby: Start packing the night before you leave. Check out, and then run back into the hotel for that beloved soft toy that you forgot in the travel cot. Get home and breathe a sigh of relief for being back “In Routine”. Print all the zillion photos you took and store them in your holiday album. Grimace when you realise you will have to pick up all the mess from under the baby high chair yourself. Can you relate to any of these? Do you have any additions to make to this list? I would love to read about your experiences or suggestions, so pop a comment in the comments section below! Haha that’s so true! Over packing on nappies seems to be my speciality!! Ohmygosh that is a horrific experience to have on your first holiday as 3!! I hope you can move beyond and once again enjoy a mini holiday, but this time ask the hotel to shift all the coffee table out of the room before you come to stay!! Thanks for reading! Haha! Ahem, I mean, very glad you can see the funny side of the travel ‘experience’ with a little one added to the mix. Enjoy your mini-break! Haha thanks I hope so too! Finger crossed!! Thank you for reading! True! Routine is definitely what I worry most about! Thanks for reading! ? Haha yes this is very accurate, oh how things change when you have children!! Haha yh My list of what to pack is already so so long!! Thanks for reading and hosting! ? Haha i can’t wait till “pooing receptacles” need to be taken along to our trips! Haha! Hotels need to know that the travel cot issue really is not the right way to start things off!! Thanks for reading! ? I absolutely LOVE this!!! It’s so so true I laughed and nodded along the whole time!! Nap time is definitely THE most important time of day and wo betide anyone who tries to skip it just because they are on holiday haha!! Having to pick up the food again once your home is definitely the saddest point here, I always miss this lots whenever we come back from anywhere with Arthur!!! Hehe glad you enjoyed it! Nap times are sacred for a parent’s sanity!! My travel has always taken the form of visiting someone – friends or family – so it’s rarely been relaxing. I took my first “real” vacation last summer, 1000 miles driving each way – with my then 8-year-old daughters. We had a WONDERFUL time, even if I did pack snacks and entertainment with them in mind. Aw that sounds like a well deserved vacation! I suppose holidays with snacks and entertainment for the kids are just the way its going to be now, and I am sure I will get used to it! This is so funny and really rings true! We haven’t been on holiday as such with our now toddler, just family visits, but restaurant meals are just how you described, taking it in turns to eat hurriedly – what happened to enjoying your meal? This is probably why my little one tries to stuff too much food in her mouth at once – she’s just copying us! Haha I’m glad that me and hubby aren’t the only ones doing that! It really is a race to keep bubs happy isn’t it! Ha! Haha good to know there is a light at the end of the tunnel! Thanks for reading! Very funny and very true! We’re going away for a long weekend at the end of June and I’ve been mentally packing for WEEKS, which is not something I ever used to do! I find that it is getting better as M gets older and we become more practised, but I think the terror of leaving a favourite toy in a hotel room will be with me for a while yet. You’re right, and I really do hope it gets easier as Baby Z grows up! Thanks for reading!